"I am particularly excited about this study because it presents a series of far-reaching, practical possibilities as well as scientific advances," says Matthew Chang, an associate professor of biochemistry at the National University of Singapore, who was not involved in the research. "For instance, this work certainly enables us to envision the direct use of probiotics in combination with their modified forms for the surveillance and prevention of cholera," Chang says. "Even further, many can leverage this study, in particular its generalizable 'sense-and-respond' approach, to devise various diet-based prophylactic strategies against other communicable infectious diseases." 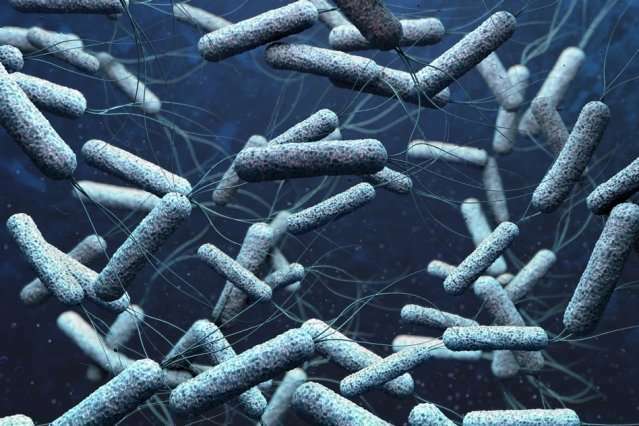 The MIT team is now exploring the possibility of using this approach to combat other microbes, such as Clostridium difficile, which causes gastrointestinal infections, and bacteria known as enterococci, which can cause many types of infections. So why not treating sick people with an acidifier instead; i.e. capsules / gastric washes containing lactic acid or other acids? Or some acidic food.